The Polish government has accused the European Commission of “arrogance” and of “playing God” in a dispute on judicial reform. Wednesday’s (26 July) barrage of reactions came after the Commission, earlier the same day, gave Poland one month to address concerns on political interference in the judiciary amid threats of an unprecedented EU voting penalty. Zbigniew Ziobro, the Polish justice minister, said Frans Timmermans, the Dutch commissioner who delivered the ultimatum, had behaved with “insolence and arrogance” toward Poland and Polish people. “Poland deserves respect and that's what we'll demand from you [Timmermans] and your colleagues”, he told a press briefing in the Polish parliament in Warsaw. 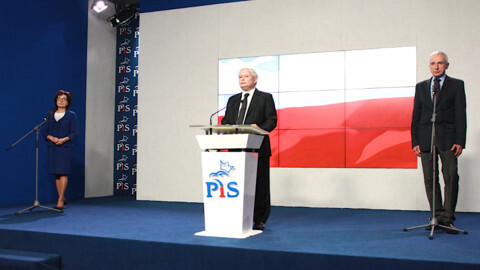 He said his ruling Law and Justice party needed to overhaul Polish courts to stamp out corruption and maladministration. “Our task is to reform the judiciary in Poland. We will do it in a democratic way and no one will stop us,” he said. 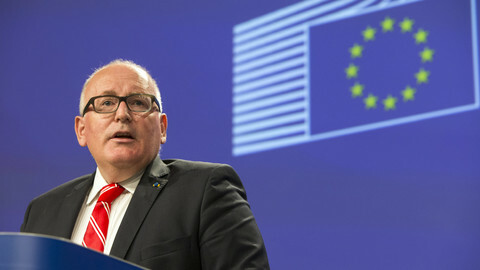 Konrad Szymanski, Poland’s EU affairs minister, said Timmermans’ concerns were “groundless” and that “organisation of the judicial sphere is a national competence”. The ministers’ reactions were among the more polite ones. Ryszard Legutko, a Law and Justice MEP, accused Timmermans of “Brezhnevism”, comparing the EU Commission to the Soviet Union under its Cold War leader Leonid Brezhnev. “The European Commission is trying to play God,” he said. 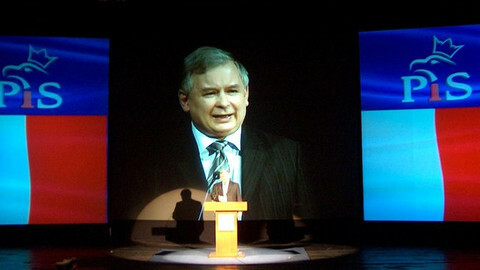 Another Law and Justice MEP, Zbigniew Kuzmiuk, said the Commission’s threat - to potentially suspend Poland’s voting rights in the EU Council - was an “atomic weapon”. “This attempt to deprive Poland of its voice in the EU Council is a brutal interference in the Polish political system,” he said. 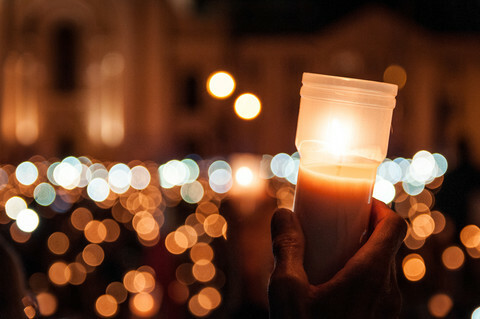 The Commission issued its warning after Law and Justice passed four laws on judicial reform. One gave it the power to appoint supreme court judges. A second one gave it new powers over the National Council of the Judiciary which controls the profession. These two laws are up in the air after Polish president Andrzej Duda declined to sign them. The third and fourth laws, which Duda has signed, gave Law and Justice the power to name the presidents of appeals and district courts and to appoint assistant judges in the National School of Judiciary and Public Prosecution. Poland also on Wednesday got a separate Commission ultimatum to start taking in asylum seekers from Greece and Italy within one month or face legal action. The relocation quotas were imposed by an EU Council vote, but Poland has declined to respect that amid widening divisions between Brussels and Warsaw. The Commission had earlier voiced concerns over Law and Justice’s takeover of Poland’s constitutional tribunal and state media. 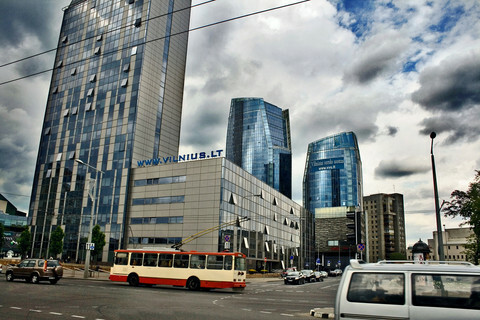 The Polish government's poor relations with EU institutions include the European Council, whose president, former Polish prime minister Donald Tusk, is a nemesis of Law and Justice party chief Jaroslaw Kaczynski. 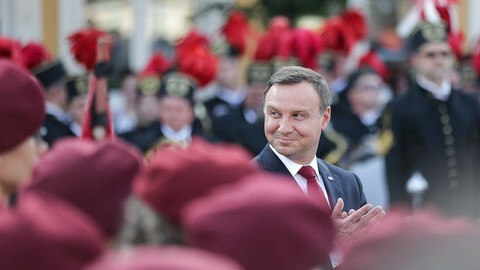 Kaczynski has accused Tusk of colluding with Russia over the Smolensk air disaster in 2010 in which Lech Kaczynski, his twin brother and the then Polish president, lost his life. Roman Giertych, a Tusk plenipotentiary, told Polish TV on Wednesday that Polish prosecutors had summoned the European Council president to answer further questions in a Smolensk probe in Warsaw in August as the vendetta goes on. 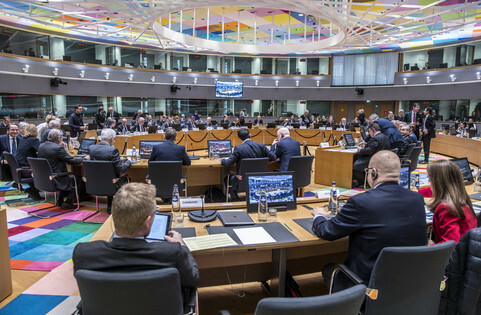 The EU executive expects Warsaw to halt the judiciary reform and address concerns over the rule of law, and not to force out supreme court judges, or else the sanctions procedure will start. The Hungarian leader called EU Commission vice-president Frans Timmermans an "inquisitor", allied with George Soros and the Brussels elite, and argued for the EU executive to stop being a political body. Andrzej Duda's veto on two controversial justice reforms reveals cracks in the ruling PiS party, but it could still be bypassed. 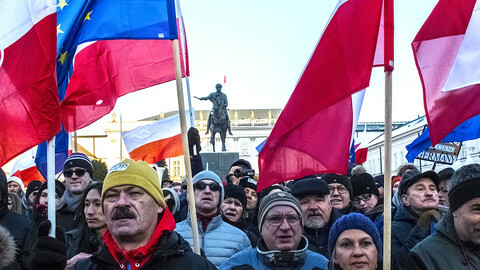 Poland's judicial system is on the ropes, in what could be another sign of the country backsliding further on democratic values. New wave of recriminations after Commission formally notified Warsaw it had launched “infringement proceedings”. Debates are ongoing on whether president Duda vetoing two out of three bills on judicial reform should be seen as the opposition's success. But the protests brought about another, much less disputed success.